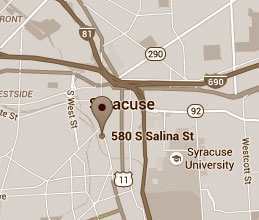 and bus crash victims in Syracuse and across Central New York. We can help you, too. For thousands of people in the Syracuse area, buses are a common form of transportation every day. Unfortunately, the possibility that a mistake can happen that could cause serious harm is very real. Recovering from the injuries and trauma that a victim may experience after a bus accident can be difficult. It can often impose expensive medical bills, lost wages, and pain and suffering to not only the injured party, but also their family. At McMahon, Kublick, our Syracuse bus accident attorneys have decades of experience fighting for the rights of injured victims. They are well-versed in commercial transportation laws. If you have been injured in a bus accident, call (315) 424-1105. What Are Causes of Bus Accidents? Multiple factors can contribute to the cause of a bus accident. Even the slightest error or mistake can turn into a horrible disaster that can have devastating effects on those involved and injured in the accident. If you know someone that has been injured in a bus accident, contact our personal injury law office in Syracuse, NY to learn what you need to do in order to file a claim. Who is Held Liable for a Bus Accident? It can be difficult to determine the liability for a bus accident, because of the ownership and the driver’s employment by belonging to separate institutions or companies. Busses generally are separated into three categories, and each can determine the liability for an accident. Most cities and counties have busses as a form of public transportation, and these busses are owned by the city or municipality. In order to file a claim for compensation that stemmed from an accident caused by a government, including those caused by a negligent bus driver or from the lack of proper maintenance to the vehicle. You will have to file a claim with the government. This process can be complicated and it often required short deadlines for submitting a notice of claim. When it comes to tour bus accidents there can be a number of parties that can be held liable depending on the terms of the contract. Depending on the circumstances of the accident, the bus company, the company that hired the bus company or the bus driver themselves can be held liable for the accident. When it comes to school bus accidents it often comes down to ownership. If the county or school district owns its own busses, then they are responsible for proper maintenance, repairs, the hiring of qualified drivers and high-quality upkeep that will ensure the safety of student passengers. If an independent company has ownership of the busses, then it may be liable for the accident. Most bus accidents have multiple vehicles involved that may not be a fault of the bus driver or company. If it is the negligence of another driver that caused the accident and/or injuries to the passengers on the bus, you may be able to seek compensation from the at-fault driver’s insurance company. Liability for a bus accident can fall on multiple parties depending on the specific circumstances of an accident. It is important to have an attorney that is experienced and understands the complexities of the transportation laws in order to prove who is liable in a bus accident claim. Talk today to our Syracuse bus accident layers to identify all potentially liable parties in your claim. Vehicles, like busses that are used by companies to transport people and goods for a fee, are considered to be “common carriers.” Carriers, such as tour buses, commercial buses, and school buses have a duty to provide their passengers with safe transportation. When carrier companies fail to do so, and as a result, an accident occurs, they can be held liable. The carrier company owed you a duty to protect and ensure the safety of their passengers. The carrier company breached that duty. The company’s actions did not fall within acceptable standards of care. This can include failing to maintain proper maintenance on a bus or hiring a poorly trained driver or someone who has a history of accidents. The breach directly caused your injury. The carrier’s negligent actions directly caused your injuries. You suffered damages related to the bus accident. You must be able to prove that the accident directly caused you physical, mental or emotional damage. In order to hold common carrier companies liable for an accident, it will require an attorney with a real knowledge of transportation and common carrier laws. Our Syracuse bus accident lawyers have decades of experience in defending the rights of injury victims and possess a strong ability to hold companies accountable for the accidents occur. If you have sustained injuries in a bus accident, then you should get legal representation from an experienced bus accident attorney in at McMahon, Kublick, who is dedicated to protecting your rights. If you or a loved one have sustained injuries, or there has been a fatality in your household due to a bus accident or crash, it is important that you contact an experienced Syracuse bus accident attorney who specializes in motor vehicle and bus accidents. An initial case evaluation is free, and we will help you assess the facts of your bus injury case and determine the best legal course of action possible.